by Damcho on September 25, 2017 in News, Projects, Rigul Clinic, Rigul Trust. At last we bring good news! Ringu Tulku Rinpoche has just sent us a photo of the brand new car/ambulance that Dr Chuga and his team bought on Saturday 12 August. 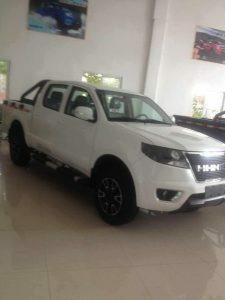 The open back of the car will be used for collecting medicinal herbs from he mountains, hillsides and valleys in Tibet as well as transporting goods and materials. by Damcho on October 16, 2014 in Website. 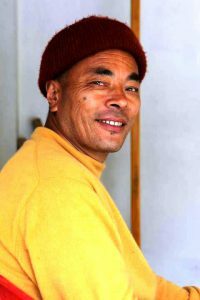 Sad news came today of the death of Lama Tsering Paljor yesterday in Tibet. Lama La was resident monk at the Bodhicharya Meditation Centre in Sikkim, and any who spent time there with him discovered a very special person, an absolute joy and inspiration to be around.